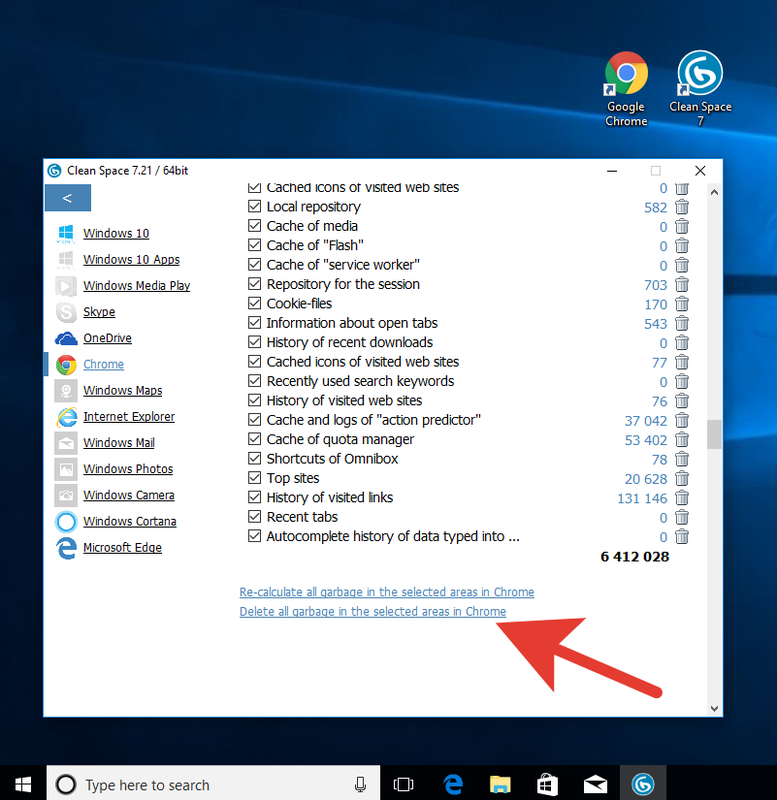 How do I clear internet history in the browser? 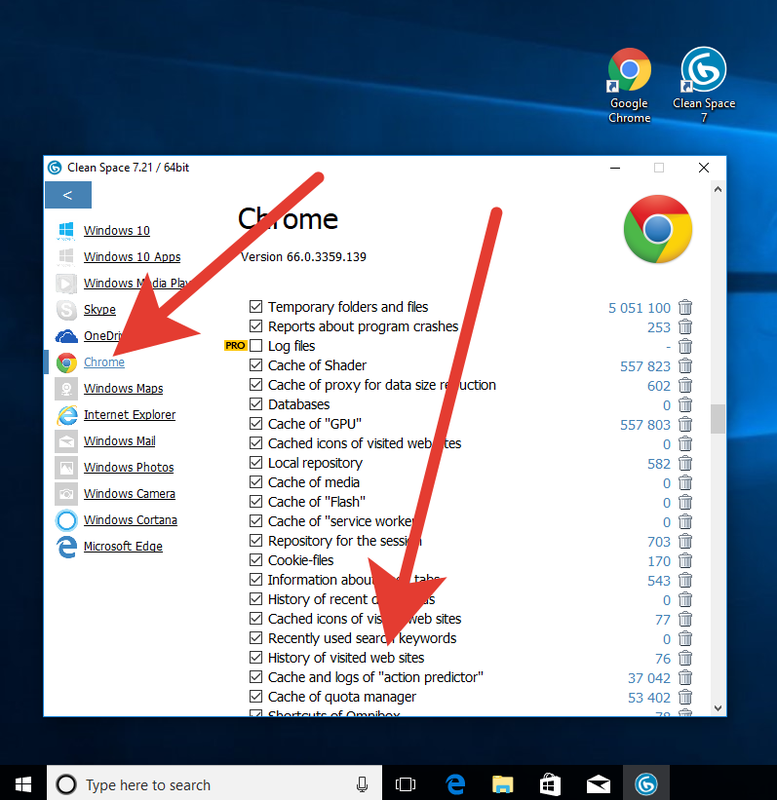 While you browsing the Internet, everything you view may be saved to the temporary folder on your computer. People also call it "cache", which is true. Using cache helps everything load faster in the future, because data comes from your hard drive instead of server in a different part of the world. And this is also question of privacy. Click button below to download and install free software "Clean_Space". 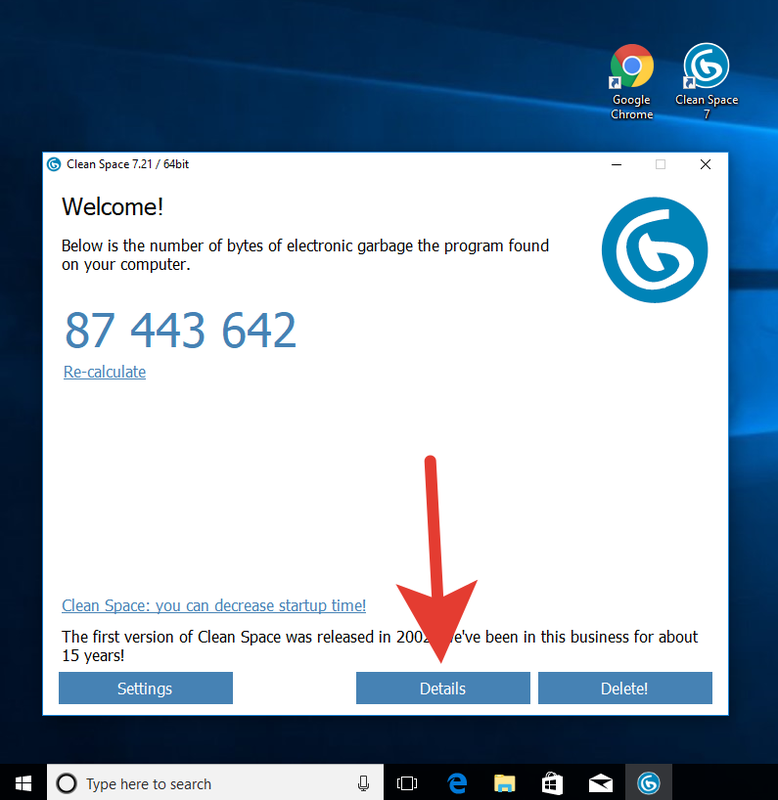 Purpose of this utility is to remove computer garbage, including browsing history. We recommend this utility because it supports all browsers which you may have, including history in Windows OS. All in one place with easy interface. Install the program and launch it. After installation, just click button "Delete" on the main screen of the program. 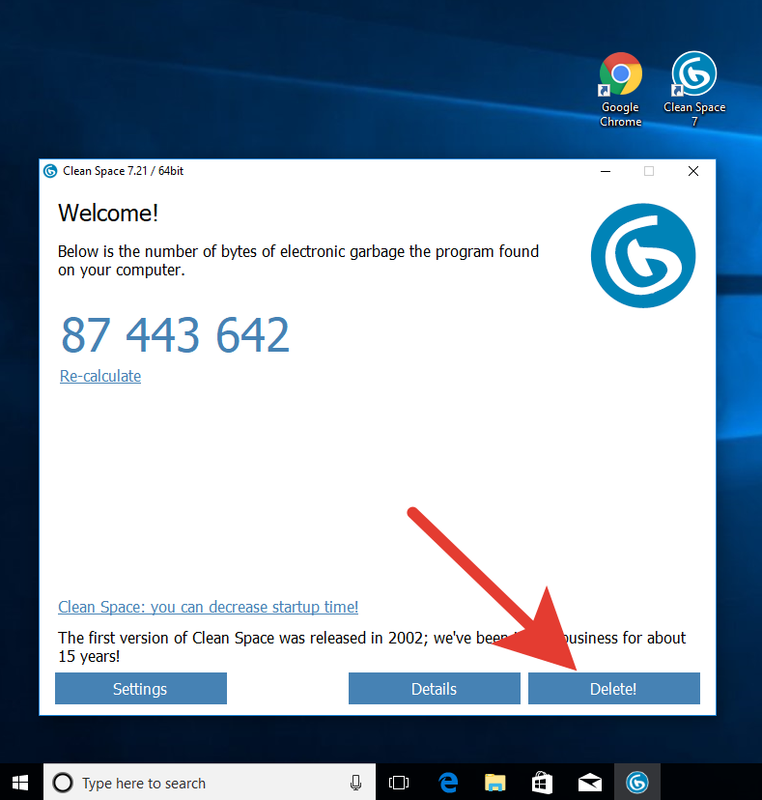 In this case the program will remove all garbage in all programs located on your computer (including browsing history). Don't worry, it will not remove your programs or your documents, just a garbage. Want to delete just history? If you want to delete just history, first, click click button "Details" on the main screen. Then, on the left, click title of your browser (for example, Chrome). Find item in the list "History of visited web sites" and click icon of trash against it. By doing so you will delete browsing history. Or you can scroll a little bit down and delete all garbage which was collected by Chrome, by clickin just one link "Delete all garbage in Chrome".